Prettydesign shows you the latest fashion trend all the time. Today, we are going to offer you with some ideas to wear the embroidered patches. Embroidered patches become a trend this year and they are so popular that girls wear the pieces recently. Now it is your time to wear an outfit with embroidered patches. The embroidery designs occupy the runway and bring 90’s back this year. 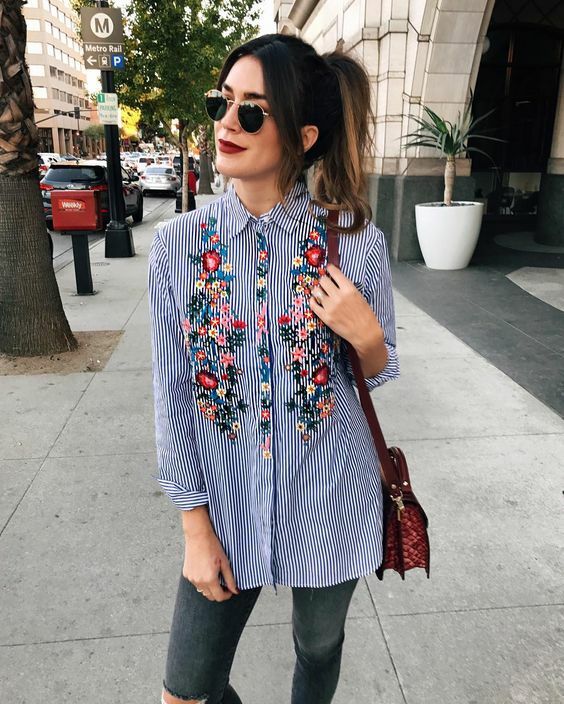 From jackets to jeans, you will find girls show their embroidery pieces everywhere. You will find embroidered designs in the following post. 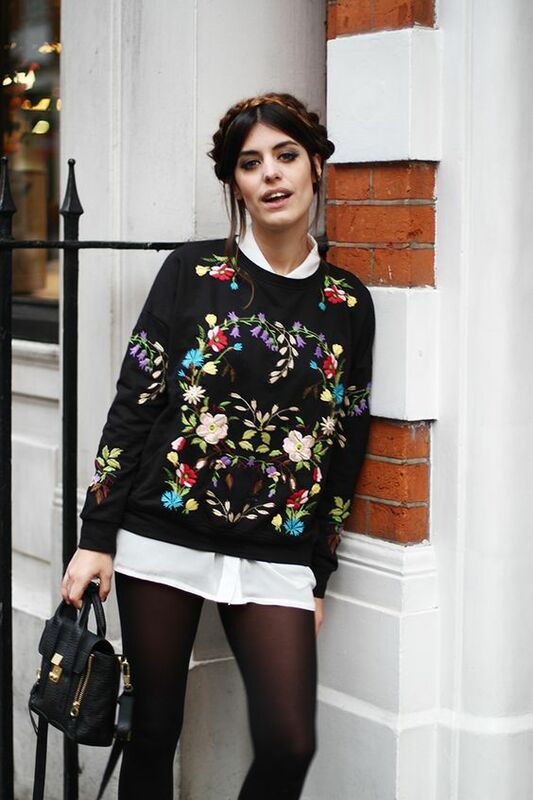 Get inspired and glam an outfit with embroidered patches next time. It is pretty for girls to have embroidered patches for their tops. When the weather gets colder, why not go for an embroidered jacket to keep your body warm? You can choose an oversized jacket or a short jacket to make longer leg lines. Tights and skinny pants would be the best stuff to pair the embroidered jacket. If you opt for an oversized jacket, you’d better step on the high heels. Other tops like shirts will have the embroidered patches in a pretty way as well. The designers give floral look to the shirts in order to make them vivid. Dresses can be worn all the year round. They can make a pretty look and be paired with many coats. What happens when dresses meet the embroidered patches? Let’s see the outfits here. 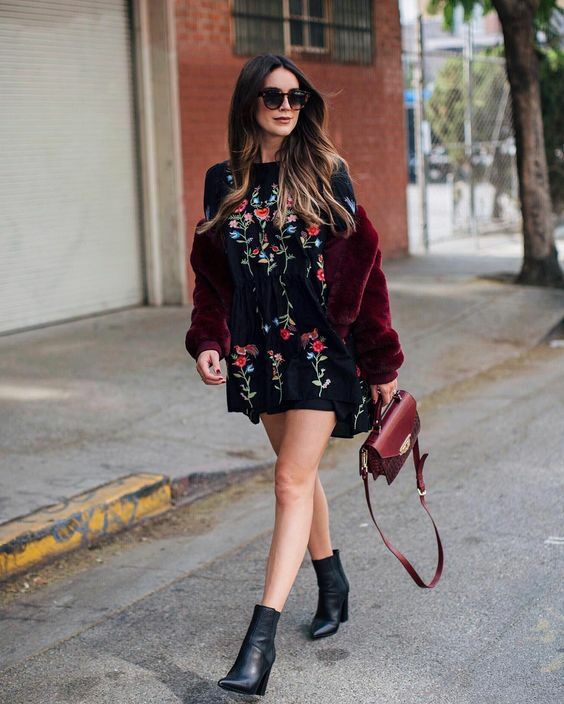 The floral embroidered patches will lighten up the black dress. Also, the floral patches can make an amazing dress in light colors. Girls are crazy about embroidered bottoms this year. They wear skirts or jeans with embroidered patches. From cool patches to cute patches, they make the bottoms rock. Now have no hesitation to check the outfits.